Facebook Feed Pro is an integrated Facebook Feed system which allows you to showcase your live Facebook feed on your website. The Facebook Feed Pro allows you to display a completely responsive, customizable and search engine crawlable version of your Facebook profile, page or group feed on your own website. No more ugly iframes! 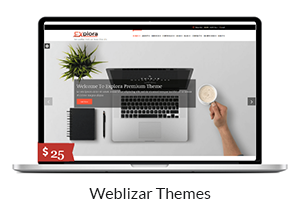 Super simple to set up and the number of customization options to seamlessly match the look and feel of your site. Before starting to use your Facebook Feed Pro Plugin, be prepared with your Facebook Access Token. 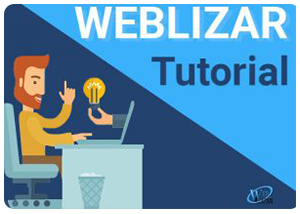 First, download your plugin package from your Weblizar Amember Account. 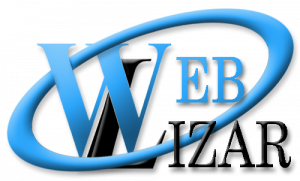 Upload Plugin package zip folder using plugin installer WordPress option Otherwise Any FTP (FileZilla). We recommend you upload plugin zip package using FTP( FileZilla/Bitwise), In your host-server-directory\wp-content\plugin. After Uploading, Install & Activate Facebook Feed Pro plugin on your WordPress site. After successful installation of Facebook Feed Pro plugin, we will start plugin customization by clicking on Facebook Feed Pro option on left side of the admin bar. Now, let’s cover each option one by one. Feed section contains all your previously made feeds. Here you can edit or delete your built Facebook Feed and you can also copy the Facebook Feed shortcode on any of the pages or posts. Add new button lets you add newest Facebook Feeds with all new settings. Facebook Feed allows you to create Unlimited Feeds from Unlimited Facebook profiles, groups or pages. Let us look at all of these settings one by one starting off with FEED SETTINGS, followed by TIMELINE/POST OPTIONS, EVENT OPTIONS, SOCIAL SHARING OPTIONS. Choose Page, Group or Profile: Choose whether you want to show your Facebook Profile, Page or Groups Feed. Page URL, Group ID, Access Token: Submit your page URL for Page, Group ID for Group and Access Token if you choose Profile as a feed option. 5. Light-box Styles: Choose how you want to display your images on-click. Number of Posts: Choose how many recent posts you want to show on your feed. Add any custom CSS in the box given below to make necessary changes in your plugin. Facebook Feed Pro plugin allows you to select which section you want to showcase on your page or post. Just tick the necessary blocks out of all the available sections and check live preview of your changes. After getting the desired layout, copy this shortcode [facebook_feed_tabs] to any page, post or widget where you want to show your Facebook live feed.